Sometimes, a book comes into your life at just the right moment. 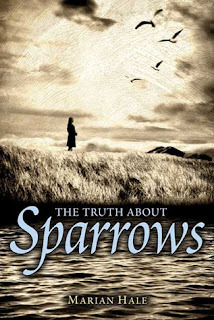 The Truth About Sparrows is the story of a girl named Sadie Wynn whose family moves from Missouri to Texas during the great depression. Sadie’s a bit of a spit-fire, and her grit gets her through tough times, but she struggles to have the kind of compassion and charity she sees in her momma. After her family’s move she meets a homeless old man who makes an indelible impression on her, and that encounter sticks with her as she as she tries to come to grips with her changed life and navigate the emotional pitfalls of adolescence. I love books with strong young heroines; in some ways this books reminds me of Anne of Green Gables, in other ways of the Laura Ingalls Wilder novels or Caddie Woodlawn. Sadie is strong and spunky but imperfect. I can really relate to her. But I think what struck me most was the hopeful tone of the book. If you’re lonely in a new place…read this book. If you’re worried about the economy or how to make ends meet…read this book. And it you don’t fit in either of the aforementioned categories but love great ‘girl’ fiction, read this book.